Slim Harpo (11 January 1924 ? 31 January 1970) was a blues musician. Born James Moore in Lobdel, Louisiana, the eldest in an orphaned family, Moore worked as a longshoreman and building worker during the late 1930s and early 1940s. One of the foremost proponents of post-war rural blues, he began performing in Baton Rouge bars under the name Harmonica Slim. He later accompanied Lightning Slim, his brother-in-law, both live and in the studio, before commencing his own recording career in 1957. Born James Moore in Lobdel, Louisiana, the eldest in an orphaned family, Moore worked as a longshoreman and building worker during the late 1930s and early 1940s. One of the foremost proponents of post-war rural blues, he began performing in Baton Rouge bars under the name Harmonica Slim. He later accompanied Lightning Slim, his brother-in-law, both live and in the studio, before commencing his own recording career in 1957. 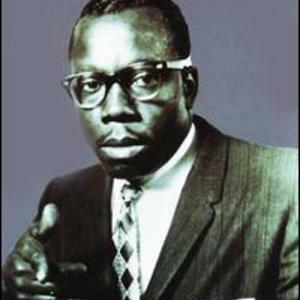 Named Slim Harpo by producer Jay Miller, the artist's solo debut coupled "I'm A King Bee" with "I Got Love If You Want It". Influenced by Jimmy Reed, he began recording for Excello and enjoyed a string of popular R&B singles which combined a drawling vocal with incisive harmonica passages. Among them were "Rainin' in My Heart" (1961), "I Love The Life I Live", "Buzzin'" (instrumental) and "Little Queen Bee" (1964). On these hits he was accompanied by understated electric backing from the regular stable of Excello musicians ? including Lazy Lester, whom Harpo influenced. The singer was known as one of the masters of the blues harmonica; the name "Slim Harpo" was a humorous takeoff on "slim harp," the popular nickname for the harmonica in blues circles. Harpo was the point man of the 1950s Louisiana Swamp/Blues movement. Harpo, along with Lightning Slim, Lazy Lester, Lonesome Sundown, and a dozen other downhome artists recorded for A&R man J.D. Miller in Crowley, Louisiana. The records were then issued on the Excello label, based in Nashville. Harpo's relaxed, almost lazy, performances set the tone for his subsequent work. His warm, languid voice enhanced the sexual metaphor of "I'm A King Bee", which was later recorded by the Rolling Stones. The same group also covered the pulsating "Shake Your Hips", which Harpo first issued in 1966, while the Pretty Things, The Yardbirds and Them featured versions of his songs in their early repertoires. Later, the riff from Harpo's hit "Shake Your Hips" was used in the ZZ Top hit "La Grange," and The Rolling Stones covered the song on their 1972 album, Exile On Main Street. Harpo enjoyed a notable US Top 20 pop hit in 1966 with "Baby Scratch My Back" (also a number 1 R&B hit), which revitalized his career. Never a full-time musician, Harpo had his own trucking business during the 1960s, although he was a popular figure in the late 1960s blues revival, with appearances at several renowned venues including the Electric Circus and the Fillmore East. He died unexpectedly of a heart attack on 31 January 1970 at the age of 46, and was buried in Mulatto Bend Cemetery in Port Allen, Louisiana.